Green Bay quarterback Brett Hundley had no TD passes and three interceptions in his team’s 23-0 loss to the Baltimore Ravens on Sunday, November 19. 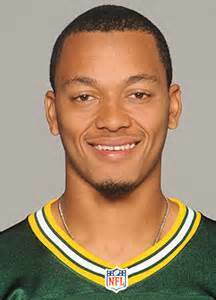 Hundley became the first Packers QB since Scott Tolzien in 2013 to have a game with no TD passes and three or more interceptions. Tolzien had no TD passes and three interceptions in a November 17, 2013 game against the New York Giants. There have been 48 games in Packers history where their QB had three or more interceptions with no TD passes. The Pack is 6-42 in those games. Hundley also became the 19th Green Bay QB to reach these numbers in a contest. Brett Favre and Bart Starr each had seven such games in their careers with the Packers, tied for most in team history. Here are the 19 Green Bay QBs with the most games with no TD passes and three or more interceptions in the same contest. Did you notice the name that was not on the above list? Yes, Aaron Rodgers has never had a game with zero TD passes and three or more interceptions. SPORTSTAT: Will Packers continue to make defensive players a top priority in draft? Jerry Tapp is a freelance writer from Racine, WI with a major concentration on sports statistics and numbers that define sports teams and players. 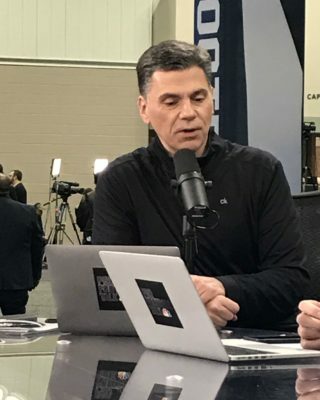 He began his foray into sports stats-focused writing as a regular contributor to the “Numbers” column in Inside Sports magazine in the mid-1980’s and then began writing a weekly “Stats on Tapp” column for the Racine Journal Times. That column was eventually nationally syndicated by Universal Press Syndicate. He later wrote sports stats items for the Washington Post under the “Stat of the Day” heading. After launching his blog, www.statsontapp.com in 2011, Jerry turned his sports stats attention to sports websites. He wrote regularly for Bleacher Report, BallHyped, football.com and Heavy.com. Today he keeps busy writing weekly columns of stats-centric articles for three sports websites, Today’s Pigskin (NFL), Today’s Knuckleball (MLB) and Today’s Fastbreak (NBA), and as a monthly contributor to the Milwaukee Brewers “GameDay” publication that is distributed to fans attending games at Miller Park.